Primrose and Robert’s downtown St. Pete wedding featured a traditional theme with whimsical touches and an all white luxurious ballroom reception. The Cincinnati couple knew that long distance wedding planning would have its challenges, so they hired Tampa Bay wedding planner NK Productions. 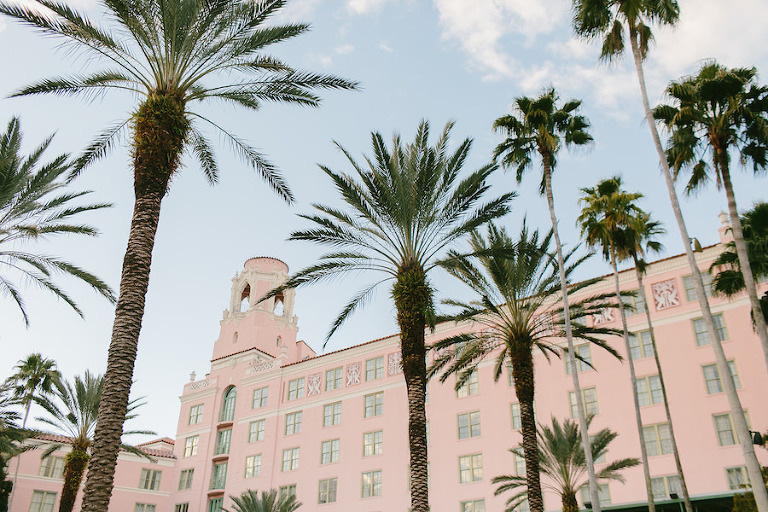 Searching for the perfect luxurious St. Petersburg wedding venue that combined outdoor space and a jaw-dropping reception ballroom, the couple chose the Vinoy Renaissance. 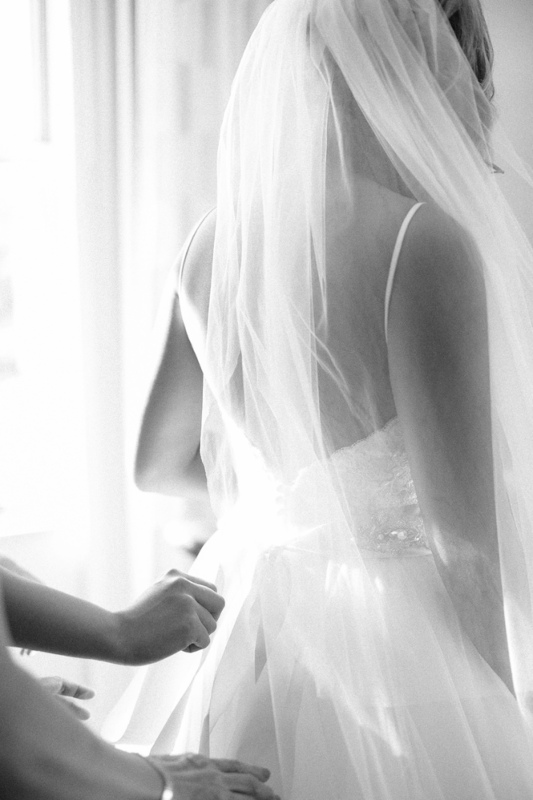 Looking back, one of the bride’s most cherished memories occurred right before the ceremony. 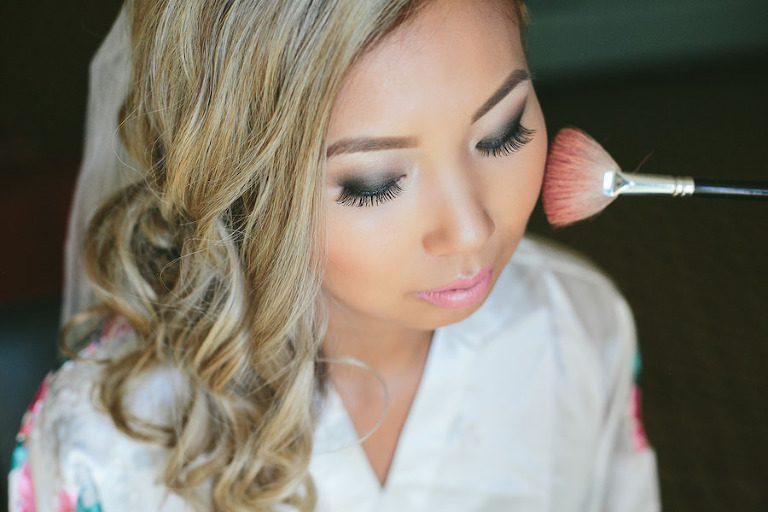 “The moment before I walked down the aisle, I just felt very emotional,” Primrose reminisced. Rob proposed on New Year’s Eve in our apartment in front of all our friends, while we were having a NYE party. 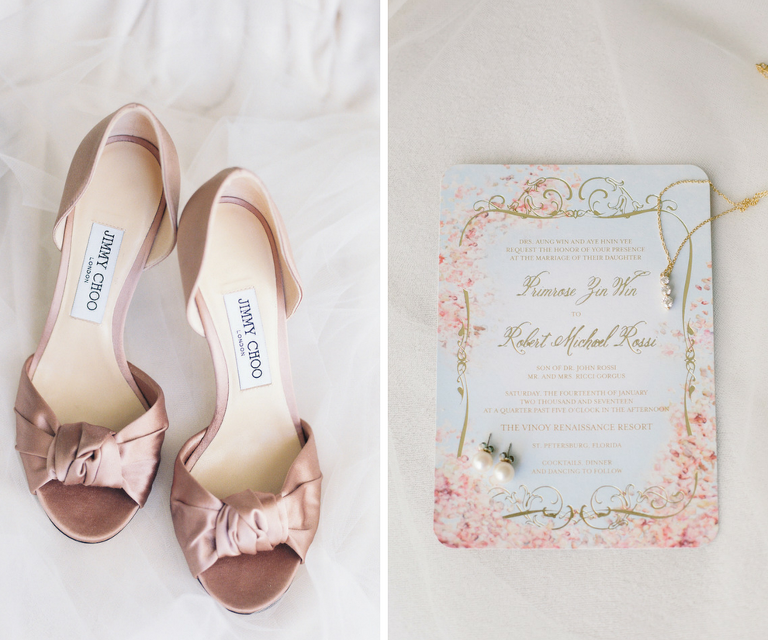 I was planning a Florida wedding from Ohio, so I knew I couldn’t do without a wedding planner. I wanted someone fairly affordable and who I had a good rapport with. Nicole of NK Productions and her whole team were great, especially in the months leading up to the wedding when I started getting stressed out. I don’t know what I would have done with them on the day of. They did everything so that I could enjoy my wedding day. I wanted the ceremony to be outdoors, and the reception venue to be something that would take my breath away. I felt like the Chihuly chandelier in the Vinoy Renaissance Grand Ballroom [took my breath away] and the Tea Garden was perfect. Their service was great! I wanted something very clean and classic. The unofficial theme was “Winter Wonderland” since it was in January; even though it was Florida and 70 degrees! [I chose] light gray and silver for my bridesmaid dresses. I really wanted white flowers, so by default, it became a silver and white wedding.